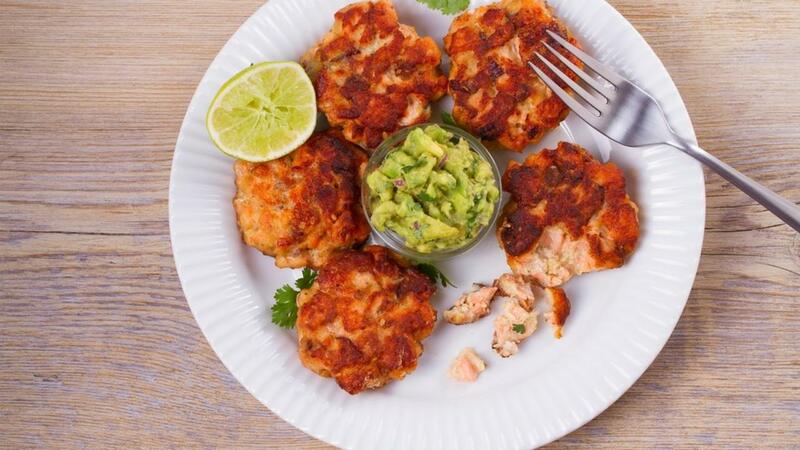 If mixture is too dry to form into patties, add reserved liquid from salmon. In a frying pan, heat olive oil. Place patties in pan. Brown on each side, turning gently. Drain on paper towels and serve. A few green leaves of mesclun with some nice dressing as a side will complete a perfect meal.